Jaguar Garden Designs provides the best landscape design in Deerfield Beach and the surrounding areas such as Boca Raton and Delray Beach. We do everything including landscape design and installation, water features, landscape lighting, garden design and more. Our expert team brings their 25 years of experience with them to each and every job to make sure it gets completed beyond your expectations. We take any landscape, in any condition, and turn it into a beautiful property featuring the garden designs that you want. We specialize in any type of property, whether it is your home, business or a luxury Deerfield Beach community. Whether you live in Deerfield or the surrounding South Florida area, Jaguar Garden Designs is the company to go to for all of your landscape and garden design needs. We use native South Florida plants along with other compatible flowers, shrubs, and trees to design and install the most beautiful of landscapes. Let us enhance your property with beauty, shade, color, and fragrance! Landscape Design, Renderings and Drawings – All of our landscape and garden jobs in Deerfield Beach start with the design. Before we start the installation and construction of your landscape and garden project, we produce the drawings and renderings so you know exactly what you are going to get. Landscape Installation – Landscape Installation – Our customers are very happy with our landscape design drawings, but even more so when they see the finished project. 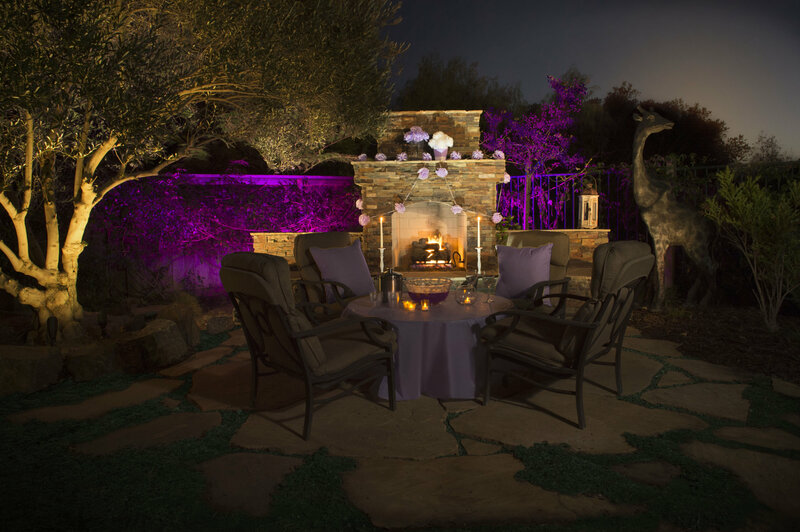 We bring experience to the whole process from initial conceptions to final landscape installation. Water Features – Some of our favorite landscape design projects in Deerfield Beach are the beautiful water features that we have designed and built for our customers. Whether you want a koi pond, waterfall, backyard water garden or just a nice bird bath that fits in with the rest of your landscape, Jaguar Garden Designs can build it for you! Trellises – Trellises are a great way to add a beautiful structure to your yard that also provides shade and a place for your plants to grow. When we combine our beautiful trellises with native South Florida plants it gives them the structure to grow up, on and around. Organic Garden Designs – Many Deerfield residents have chosen to go with our organic garden designs because of their beauty, environmental friendliness and more. Specialty Gardens – We do butterfly gardens, meditation gardens, scented gardens and more. Whatever type of garden you need in Deerfield Beach, Jaguar Garden Designs can do it for you. 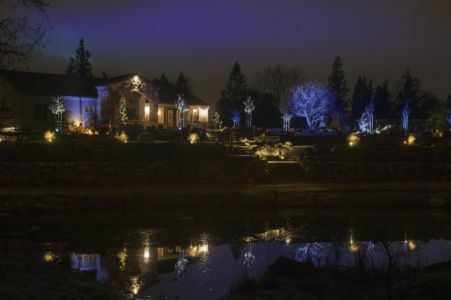 Landscape Lighting – One of our favorite projects to work on of any kind would be landscape lighting. Some of our best projects have been in Deerfield and our landscape lighting installation projects provide your home with beauty and security at night. Container Gardens – We create beautiful container gardens which are an excellent way to add color, height, and texture to small spaces such as patios, railings and decks. Irrigation, Sprinkler Repair, and Management – It is very important to provide your landscape or garden with the right amounts of water at the right time so that the plants and grass can remain healthy year round. With our extensive knowledge of native South Florida plants, we know exactly what to do when it comes to sprinklers and irrigation. We provide sprinkler installation, maintenance, and repair in Deerfield Beach and other areas of South Florida. 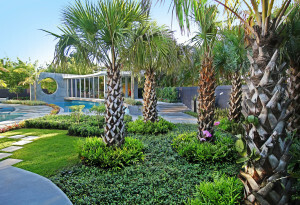 Landscape Maintenance – Jaguar Garden Designs doesn’t only provide the best of South Florida’s landscape and garden design services, we also provide excellent landscape maintenance services year round. Let us keep your home, business or residential community looking beautiful year round! Check out our gallery below to see some of our work or give us a call today at 561-699-0653 to discuss your landscape or garden design and installation needs today!